"Sampath Speaking" - the thoughts of an Insurer from Thiruvallikkeni: ~ the Madras Mail - the erstwhile eveninger from Madras Mount Road !! ~ the Madras Mail - the erstwhile eveninger from Madras Mount Road !! Yesterday, I had posted on the launch of a new English Newspaper 'DT Next' – by the popular Tamil daily Dinathanthi group. Presently, we have The Hindu, Indian Express, Times of India, News Today and Deccan Chronicle – from Chennai. Chennai, then Madras was born when a small piece of land was handed over by the local Nayak rulers to the British East India Company. One of the most important events during the Governorship of Yale was the institution of a Mayor and Corporation for the City of Madras. 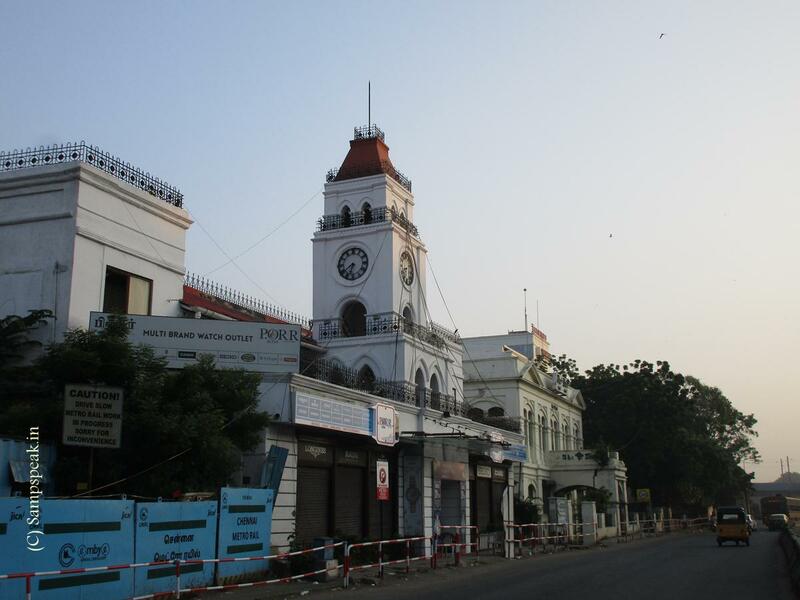 The important of the creation of a Corporation of Madras, which is the earliest of its kind in British India. In Sept. 1688, the Corporation of Chennai was inaugurated - Nathaniel Higginson, an English politician and a scion of the Higginson family of Salem, Massachusetts was the first Mayor of Madras. In the arterial Mount Road, nearer The Hindu Office, opposite to the new Govt. Multi-speciality hospital, adjacent to P.Orr& Sons, stands the building where once another English evening newspaper, the first of its kind from Madras was published. Old Timers would recall ‘The Mail, known as The Madras Mail earlier’. The Madras Mail was started by two journalists Charles Lawson and Henry Cornish in Dec 1868. Lawson and Cornish had earlier served as editors in The Madras Times before resigning from editorship. In 1921, the newspaper was purchased by European businessman John Oakshott Robinson and later in 1945, by the Madras business tycoon – Sri Anantharamakrishnan of Simpsons [Amalgamations Group]. 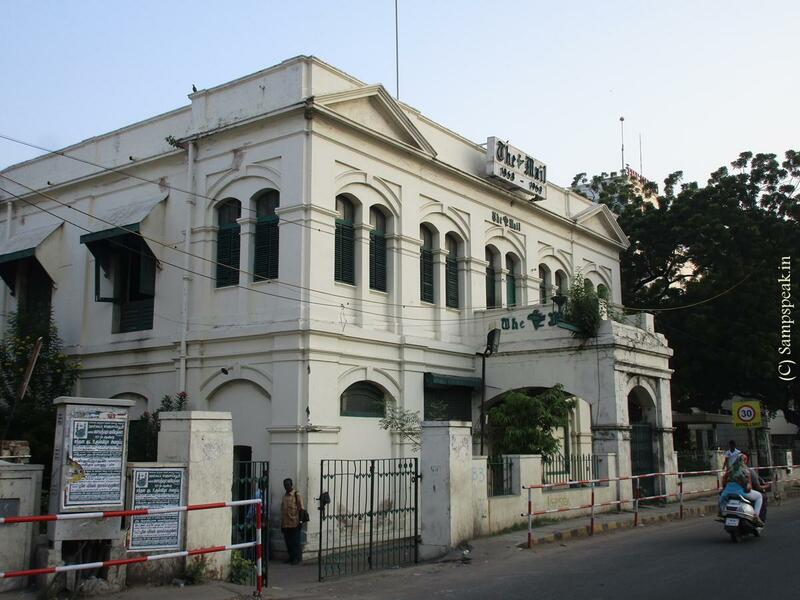 The Mail building on Mount Road, still sports the paper's name and is a worthy memorial for journalism. Web search reveals that way back in 1785 there was a newspaper - Madras Courier, that survived 36 years, offering readers, at a rupee an issue, quite costly for that age. As could be perceived, the paper had no great patronage and slowly accumulated debts and by Jan 1982, it had closed down. At the time of its fading away, the paper's circulation was an anaemic 10,000, of which 3,000 copies were reportedly returned unsold. The impending closure had been announced a few months earlier in Nov 1981 – some wrote letters requesting reconsideration but by then the losses had run to crores. Have heard that the paper supported emergency regime and shortly thereafter supported the newly elected Janata party. Towards its closure, the no. of pages got reduced, people had started leaving, machines got reduced and …. Slowly faded into oblivion. Indian Coinage ! ~ buzz around Rs.10 coins ..
Be a little compassionate ~ is humanity dying !! Volkswagen cruel test on monkeys ! !